If you’re on the look out for some really great headphones that don’t compromise on the audio quality, the looks, and the build quality, all while not breaking your wallet, well Amazon has the perfect deal for you. 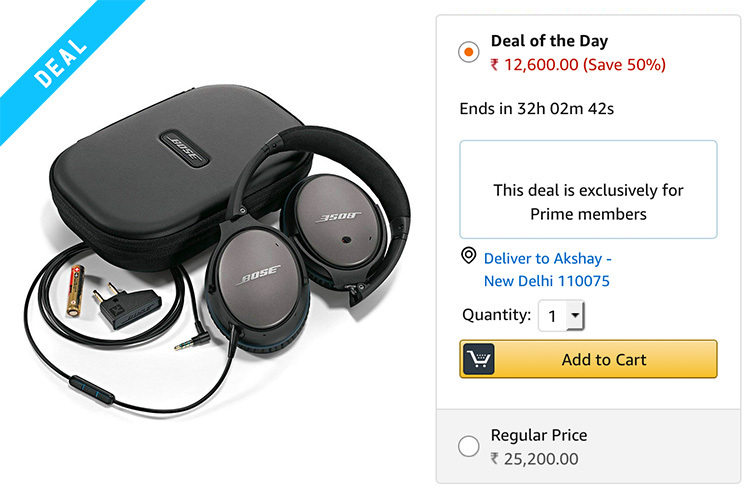 As part of its Prime Day sale, the e-commerce giant has marked down the prices of Bose’s popular Quiet Comfort headphones by a whopping 50%. As a result, the highly desirable headphones are now available for just Rs. 12,600, as compared to their usual selling price of Rs. 25,200. At a massively discounted price like this, the Bose Quiet Comfort are basically a no-brainer for anyone looking to get some high quality, great sounding headphones. The QC25 from Bose bring in a ton of amazing features to the table. They have acoustic noise cancelling technology which means that you can enjoy your music even in noisy environments without any distractions. There’s an inline mic and remote, so you can control your music directly from the remote without having to pull your phone out anytime you want to play/pause your music, or adjust the volume. 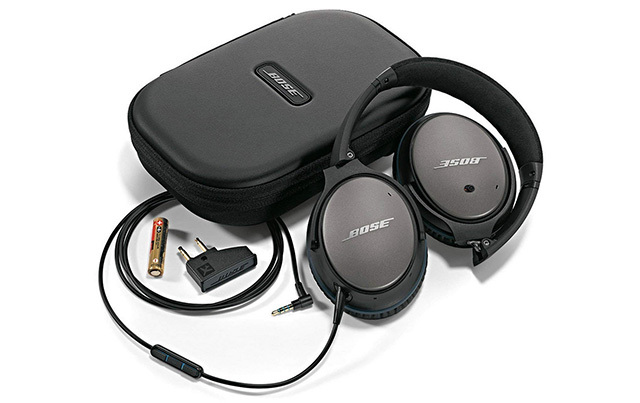 Along with the headphones, Bose packs in a carrying case as well, so you can easily and safely carry them around when you’re traveling without having to worry about accidentally breaking your precious pair of headphones.